Recently got a big promotion? Or it is your birthday or anniversary and you are thinking about presenting yourself with a unique gift, a precious Rolex for the very first time? Then, you need to consider these 5 things of absolute importance before purchasing your first Rolex. 2. Considering Lifestyle: Do you consider yourself a sporty guy, or a flashy guy, a classic guy or a perfect business guy? Ultimately, this answer will decide what type of Rolex you should wear. Lots of people prefer a classic Rolex due to its timelessness to take pride in. 3. Dial Size: It is imperative that your Rolex fits well to your wrist. It is ideal if your watch looks proportionate to your wrist. i.e. a 36mm diameter is perfect for a small wrist. Larger hands look good with 40 mm or 41 mm in diameter. 4. The Strap: It all depends on the strap or bracelet of your dream Rolex. There is a number of different strap styles such as leather, metal and so on. While metal straps suit the females, a classic leather strap looks elegant with a male. Moreover, you need to be choosy about the dial and strap color. 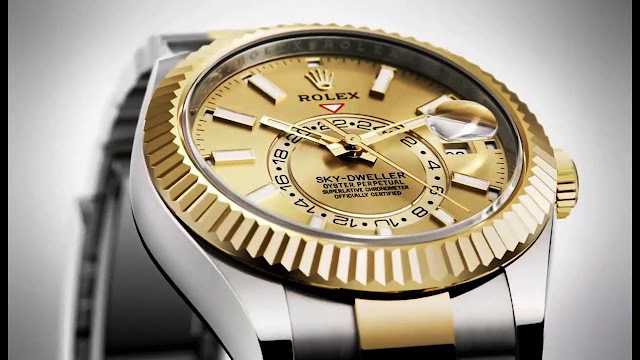 Rolex offers Gold, white gold, silver and rose-gold colors mostly. 5. Caring: Well although it is related with after purchasing, you need to be absolutely informative about the care a Rolex needs. Ensure that you know the pros and cons of cleaning your Rolex and take proper care of the highly-valued and luxury watch. A Rolex is often a lifetime investment that keeps you high and esteemed. Consider these facts carefully before buying your first Rolex to avoid future hassles.